Hundreds of people throughout Russia are being prosecuted or have already been convicted for voicing their own thoughts, which the current regime does not like. The campaign against dissent has been masked as a campaign against “extremism.” Our video project’s goal is to acquaint you more closely with several so-called extremists. The FSB and the Interor Ministry have spared neither time nor effort in combating them. Propaganda represents extremists as dangerous people, ready at the drop of a hat to segue to terrorism. 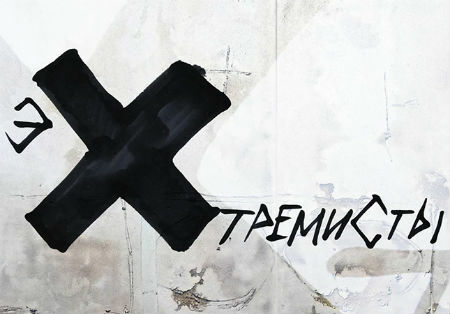 Posters hung on billboards in Moscow call on citizens to identify “extremists” on grounds such as the desire to manipulate, megalomania, identification with a hero, a low level of education and culture, and a tendency to risky behavior and devaluing the lives of others. “Extremists are people ¶ who call for destruction of the country’s integrity, ¶ try and seize power, ¶ organize illegal armed bands, ¶ engaged in terrorist activity, ¶ finance or facilitate terrorist activity, ¶ besmirch the flag, seal, and anthem; ¶ call for the introduction of Russian troops [sic], ¶ spread lies and slander, ¶ incite mutual hatred, ¶ call for violent, sow fear and panic. Psychological portrait of an extremist: aggressive, cruel, radical, many prejudices, stereotypical thinking, irration behavior; low level of education and culture. 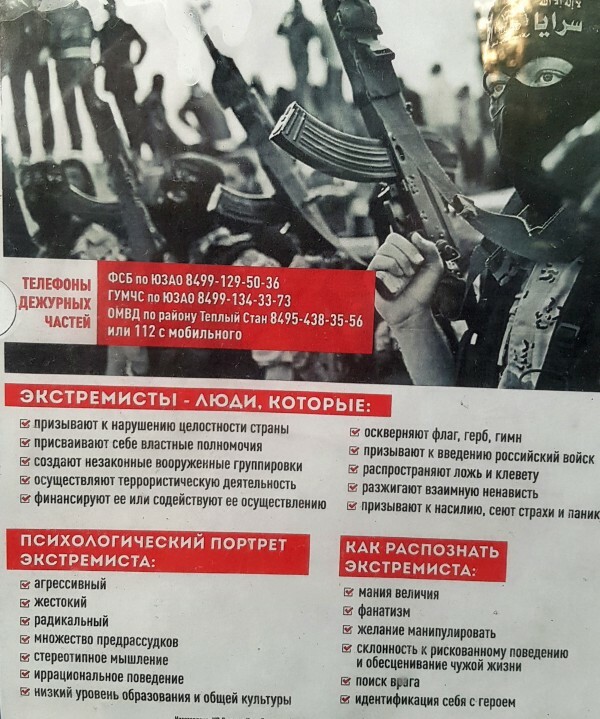 How to identify an extremist: megalomania, fanaticism, desire to manipulate, tendency to risky behavior and devaluing the lives of others, the search for enemies, self-identification with a hero.” The poster also includes local telephone numbers for the FSB, police, and Emergency Situations Ministry. Do the subjects of our video project fit the propaganda portrait? Krasnoyarsk resident Semyon Negretskulov really likes Scandinavia. His blog on the social network VK mainly dealt with Finnish history and modern life in Finland. When he posted a few texts about the Greater Finland project and historical photographs of Vybog (Viipuri) that was enough for the FSB to charge him with promoting Finnish greatness. His call to help political prisoners was also deemed extremism. The FSB regarded this and similar posts as calls to extremism. Yakovlev would have been sentenced to five years in prison, but he did not wait around to hear the verdict and requested asylum in Finland. Darya Polyudova decided to troll the authorities, who in 2014 demanded the federalization of Ukraine. Polyudova organized a March for the Federalization of the Krasnodar Region. As a result, she was the first person in the Russian Federation to be convicted of calling for federalism. Alexander Byvshev, a teacher of German in the village of Kroma in Oryol Region has gone to court to face a third set of charges for poems he wrote in support of Ukraine, and a fourth criminal case is in the works. More frightening than the revenge of law enforcement agencies has been the reaction of his fellow villagers. These are just a few of the many hundreds of cases of Russians who have been prosecuted for words, opinions, and reposts. You can find a collection of banned “extremist” content at zapretno.info. Annals of Import Substitution: Got Milk?